Four working single mothers have won a High Court challenge over the government's universal credit scheme. They argued a "fundamental problem" with the system meant their monthly payments varied "enormously", leaving them out of pocket and struggling financially. Lawyers for the women said the problem was likely to affect "tens of thousands of people" claiming the benefit. A DWP spokesman said: "We are carefully considering the court's judgement." It comes as Work and Pensions Secretary Amber Rudd announced a raft of changes to the government's flagship scheme. She also confirmed she would delay asking Parliament to authorise the transfer of three million people on to universal credit until next year, after a pilot of the transfer from existing benefits has been completed. It has proved controversial almost from its inception, with reports of IT issues, massive overspends, administrative problems and delays to the scheme's rollout. On Friday, it was announced that Danielle Johnson, Claire Woods, Erin Barrett and Katie Stewart had succeeded in a judicial review action against the government over the method used to calculate payments. It followed a hearing in November when the court was told the women were struggling financially, with some falling into debt or relying on food banks. Tessa Gregory, a solicitor from law firm Leigh Day, who represented part-time dinner lady Danielle Johnson from Keighley, West Yorkshire, said her client was "a hard-working single mum" and "precisely the kind of person universal credit was supposed to help". But Ms Gregory said the "rigid income assessment system" had left her ? ?500 out of pocket over the year and spiralling into debt. 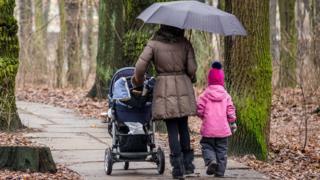 Solicitor Carla Clarke, of the Child Poverty Action Group, which also brought the case on behalf of the mothers, said the universal credit system was "out of step with both actual reality and the law", and had caused them "untold hardship, stress and misery". Media captionWhat's the problem with universal credit? When calculating universal credit, the Department for Work and Pensions (DWP) sets assessment periods for each person to look at how much they earn - from the 1st of the month to the end of the month, for example. But lawyers for the mothers said a problem arises when claimants are paid by employers on a date which "clashes" with their assessment period. For example, they pointed out that if a claimant is paid early because of a weekend or bank holiday, the system counts them as having been paid twice in one month and they receive a "vastly reduced" universal credit payment. This is an important and potentially hugely expensive decision. The barrister for the DWP told the High Court in November that if they lost the case it would cost them hundreds of millions of pounds to change the system. Leaked documents that I saw in October showed officials discussing the problem but concluding that "there is nothing we can do to mitigate this issue". At the heart of the problem is a design fault with universal credit that cuts the entitlement of tens of thousands of claimants each month, sometimes by hundreds of pounds. The court's decision was published just minutes before Amber Rudd started her speech today, billed as a reset of the beleaguered benefit. She didn't mention this particular problem, but it highlights that Ms Rudd's remarks can only be the starting point in dealing with Universal Credit's ongoing problems. 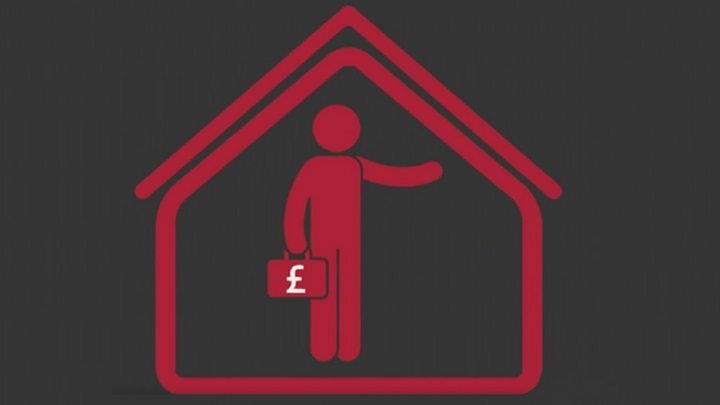 Quick guide: What is universal credit? Universal credit merges six older benefits into one new one, and is being introduced gradually across the UK. It can be claimed by people both in and out of work. How much someone in work claiming universal credit receives each month is based on how much they earned in the previous month. And unlike with some old benefits, there's no limit to the hours someone can work per week and still claim. But as they earn more, their benefit payment reduces gradually. This is designed to mean "work always pays" - that is, in theory someone never loses more in benefits than they have gained through taking extra hours of work. Some households will receive less money from universal credit than they would have done under the old system, while others will receive more. This is partly down to the intentional design of the system and partly a side-effect of cuts that have been made as the benefit was introduced. The two judges in London concluded the work and pensions secretary had "wrongly interpreted" the relevant regulations. Ms Gregory called for Ms Rudd to take "immediate steps to ensure that no other claimants are adversely affected" and "ensure all those who have suffered because of this unlawful conduct are swiftly and fairly compensated". The leader of the trade union Unison, Dave Prentis, also called for the government to "compensate those who have lost out substantially". Shadow work and pensions secretary Margaret Greenwood said the High Court's ruling "confirms once again that universal credit is failing people on low pay", and called for a stop to the rollout. Rebecca Smidmore, a carer for her 10-year-old son who has spina bifida, said her family's universal credit payments vary hugely each month - for example, if her husband gets paid a day or two early when payday falls at a weekend. "They then think he's been paid twice in a month and universal credit is then altered," she said. "So some months we get a really low amount, some months we get a really high amount." She said universal credit had a "massive impact really early on" and makes budgeting difficult, adding: "It's as if we are made to feel bad that we are claiming this benefit, that we don't deserve this money". Meanwhile, speaking to the BBC's Newsnight's political editor Nicholas Watt, Ms Rudd announced she favoured calls to change the way people who are on universal credit, but starting to go back to work, are taxed. Ms Rudd told the programme: "I would like every incentive we can find to make sure that people going back into work realise that it is the best thing for them and that they don't get a huge 90% tax rate." Earlier on Friday, Ms Rudd promised to make the universal credit system more "individual" and tailor it to claimants needs, for example by making payments more regular. Changes will also see more money go directly to women who are the "main carer" in a family, in response to criticism that the "one payment per household" system penalised women. Charities have argued a whole family's benefit payments often go to the man's account and women, particularly victims of domestic violence, have little or no access to it. Ms Rudd also announced a U-turn on plans to extend a benefits cap on families with more than two children. The cap will no longer apply to about 15,000 families, who had their children before the two-child limit was introduced in 2017.